North Carolina, Florida State, Louisville and Oregon occupied the No. 2 line. Kentucky, Arizona, Virginia and Florida were the No. 3s and UCLA, Duke, West Virginia and Butler earned No. 4 seeds. Villanova was picked as the No. 1 overall seed and therefore would be allowed to choose which region it wanted, which was the East. From there, the remaining No. 1 seeds were assigned geographically by region, and the remaining 12 teams were allocated according to seeding. The NCAA on Saturday revealed its first-ever in-season look at its top 16 teams for the NCAA tournament. The seedings (and the brackets) are subject to change ahead of Selection Sunday, which will reveal the official bracket on March 12. "Villanova played a challenging non-conference schedule and has achieved considerable success against several quality opponents on the road and on neutral courts," NCAA Tournament selection committee chair Mark Hollis said. "Their consistency throughout the season gave them slight separation from other candidates for the overall top seed." The Wisconsin Badgers, who are ranked No. 7 in the current AP Top 25, and the Cincinnati Bearcats (No. 11) are noticeable omissions from the committee's top 16 seeds. 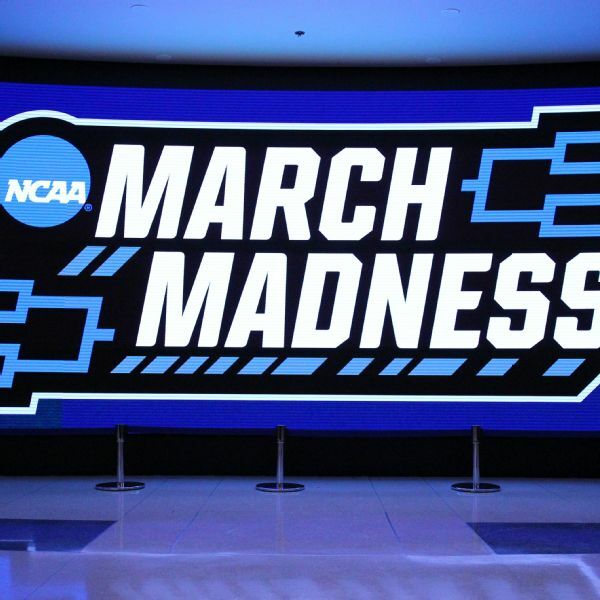 The NCAA tournament selection committee annually convenes in February at NCAA headquarters at Indianapolis, where it orients new members to its voting procedures and software and works through an early version of the bracket. The 2016-17 season marks the first time it has published any portion of those bracket results before Selection Sunday. Beyond generating discussion, the reveal was intended as a glimpse into the committee's current thinking and is not a projection of eventual seeds but rather treated as though Saturday was Selection Sunday, committee vice chairman Bruce Rasmussen said this week. "The data points we have are short," Hollis said Saturday. "There are many games to play. Creighton, Wisconsin, Purdue -- those teams are in the mix of everything we're talking about -- Cincinnati. We don't have enough data points to make those lines of separation. "This is an opportunity to get excited about the tournament," Hollis said. "Don't buy your airline tickets based on this."